Guild Wars 2 is one of the best MMOs on PC, but it was denied to one of the most MMO-literate audiences in the world until May of this year. 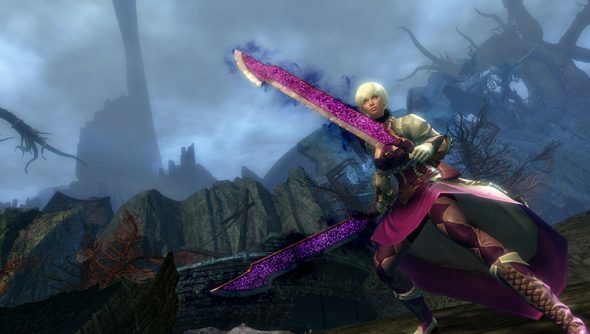 More fool ArenaNet: Guild Wars 2 sales doubled in the months after its Chinese release, and have now helped publishers KongZhong stay in the black. KongZhong earned $32 million in revenue from online games over a three month period ending June 30 – a 36% rise from the year before. The company made more than it was expecting, and attributed much of its $1.45m in profit to Guild Wars 2 and one other PC game from the West, World of Warplanes. “We successfully released Guild Wars 2 and World of Warplanes to Chinese players and have established a strong, long-term operating strategy to become a leader in the Chinese PC game market through the War Saga Brand, Guild Wars 2 and our other differentiated PC games under development,” said CEO Leilei Wang in a statement. Over a year ago, ArenaNet modified Guild Wars 2’s tutorial and early game to “help better teach core mechanics”. It was part of a drive to prepare the game for its release in the East. At the time, Guild Wars director Colin Johanson said that Kong Zhong was an “incredible partner”. He also suggested that the new systems, which included new story steps to teach players mechanics between levels five to ten, would help “future new players in the West as well”. Have any of you lot begun a new life in Tyria recently? If so, how did it go?